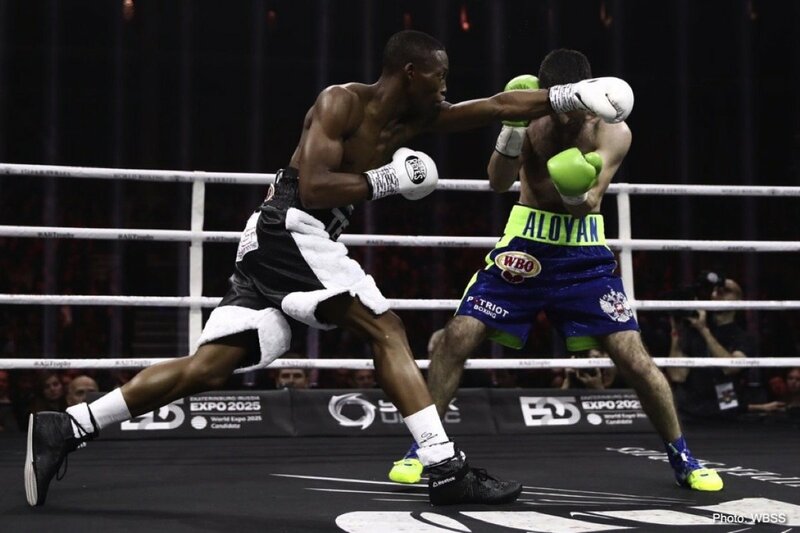 Zolani Tete (28-3, 21 KOs) and Andrew Tabiti (17-0, 13 KOs) both score unanimous decision wins after twelve tough rounds in Saturday’s Ali Trophy Quarter-Finals at the Ekaterinburg Expo, Ekaterinburg Russia. 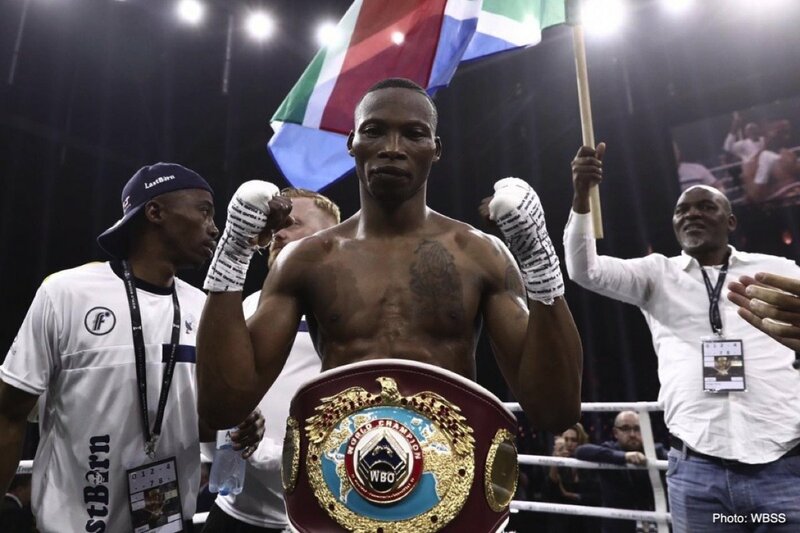 The South African defended his WBO Bantamweight World title, in the battle of the southpaws, by outpointing Russian Mikhail Aloyan. The judges scored it 114-111, 114-111 and 114-110 after twelve competitive rounds all in favor of ‘Last Born’. However, Aloyan, a two-time world champion as an amateur but with only four professional fights, impressed his experienced opponent. In the semi-final, Tete will face the winner of Ryan Burnett vs Nonito Donaire which takes place on November 3rd in Glasgow. 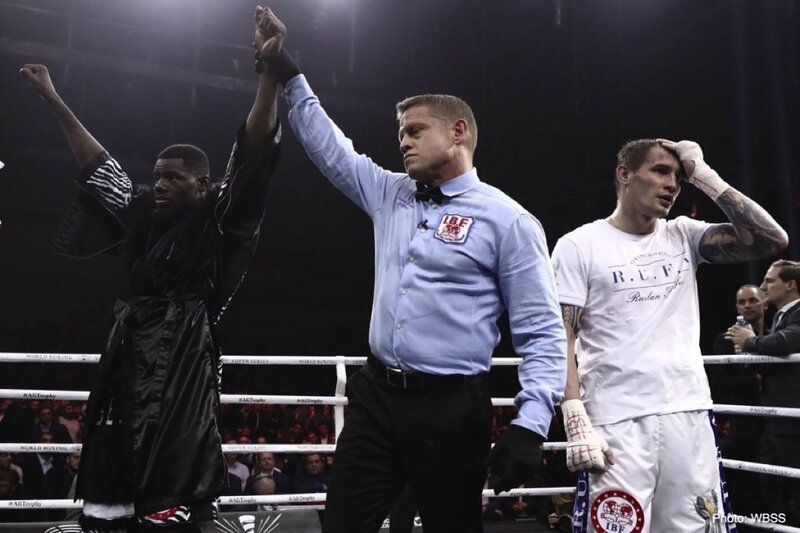 In the second quarter-final of the evening, a cruiserweight clash between American Andrew Tabiti and Russian Ruslan Fayfer (23-1, 16 KOs), the scores were 116-11, 115-112 and 114-113 all in favor of the ‘The Beast’. 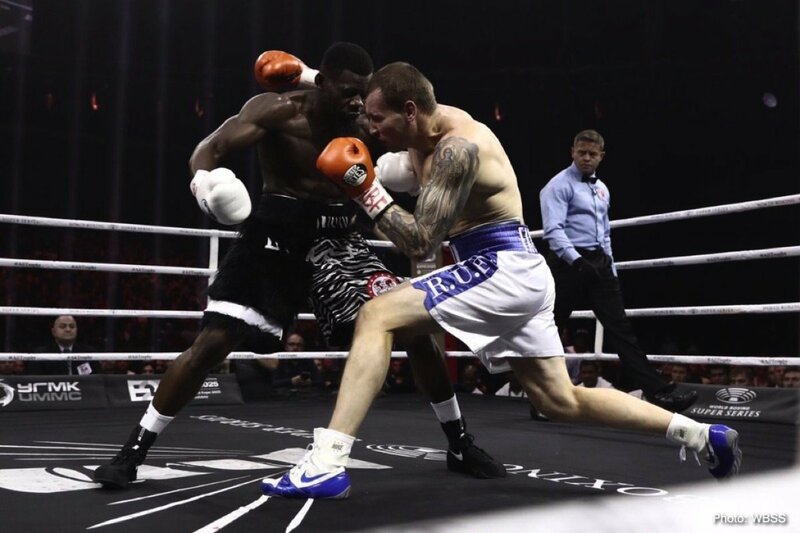 After a cautious opening of the Ali Trophy quarter-final and IBF final eliminator, Tabiti was considerably better in mid rounds, and in the last two rounds where he troubled Fayfer. Fayfer did play his part, especially in rounds eight to ten, when he bulldozed his way in to try and land a decisive blow, but in the end, he did not have enough in the tank to switch the fight to his side. Tabiti will face the winner of next Saturday’s quarter-final in Orlando between Poland’s Mateusz Masternak and Cuba’s Yunier Dorticos. “I think Dorticos will win next week,” concluded Tabiti. Tickets for the WBSS Quarter-Finals October 20 at the CFE Arena, Orlando, USA – Emmanuel Rodriguez vs Jason Moloney & Yunier Dorticos vs Mateusz Masternak – starting from $30 (plus fees) are on sale at TicketMaster.com.